Make a puppet that looks like you! Today Tomi & Mimi did something really funny! They made felt puppets of themselves. They think it worked out really well and find them strikingly similar to themselves (despite those big eyes…). 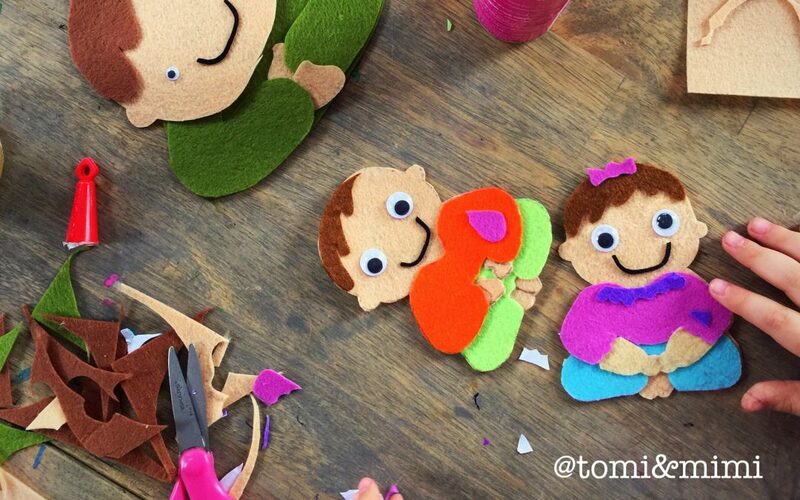 You can make Tomi and Mimi puppets too, or you can make yourself. And your puppets do not have to sit, let them stand up or stand on one leg to do a twirl. You can make anything you want. Tomi and Mimi asked their mother to draw the shapes of their puppets, t-shirts, pants and hair. But if you can do that yourself, ask your parents if you can. It might become your best one yet! bye from us and our puppets!